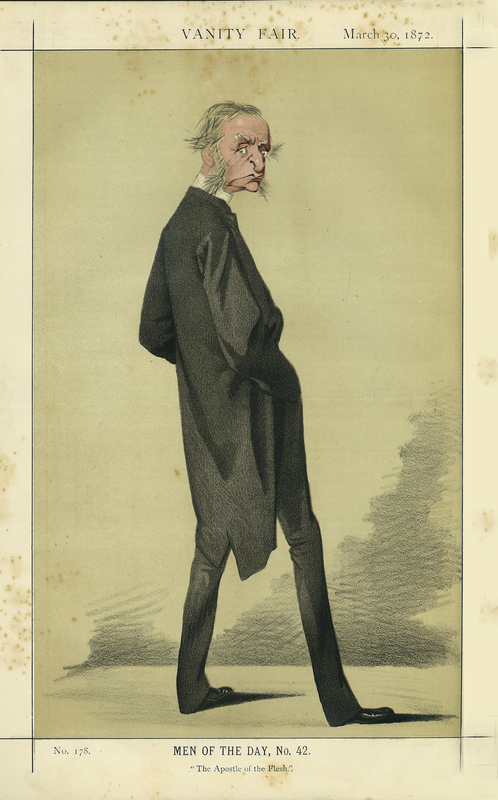 Novelist and Anglican clergyman Charles Kingsley (1819-1875) is closely associated with the notion of ‘muscular Christianity’ (he preferred the term ‘Christian manliness’), a concept combining virtue and power. His most famous work, The Water-Babies (1863), brought together progressive ideas on evolution and social reform with a troubling prejudice against the Irish and people of African descent. Adriano Cecioni, “The Rev. Charles Kingsley,” ourheritage.ac.nz | OUR Heritage, accessed April 22, 2019, http://otago.ourheritage.ac.nz/items/show/10866.